The secret to making liquid fire has long been guarded by the Alchemists of the Iron Shrine, lest it fall into hands that would turn it to war and profit. 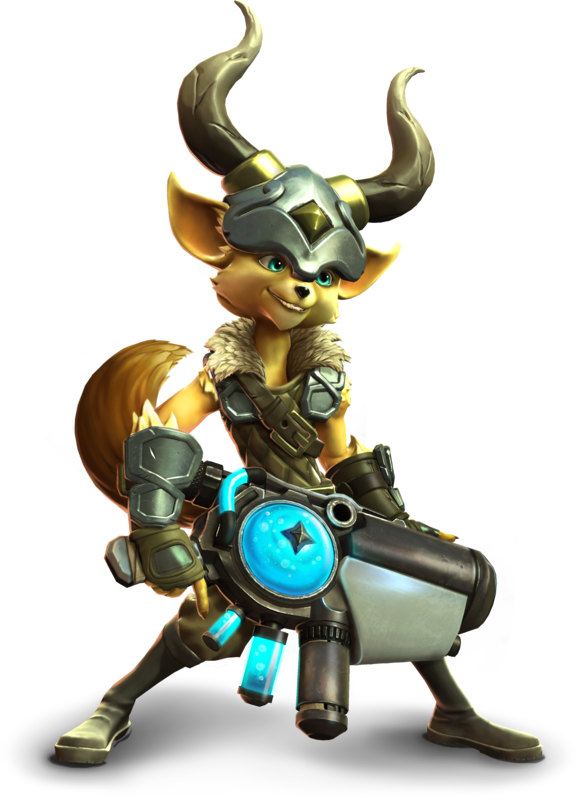 Pip is those hands. Those tiny, tiny hands. Having stolen his gear from the Alchemists, Pip races to make a name for himself in Crosswind Hold, before the Iron Shrine catches up to him. A custom launcher that fires volatile potions every 1s that explode in an area on impact dealing 600 damage per hit. Fire an explosive flask that deals 150 damage and slows enemies by 50% for 2.5s. 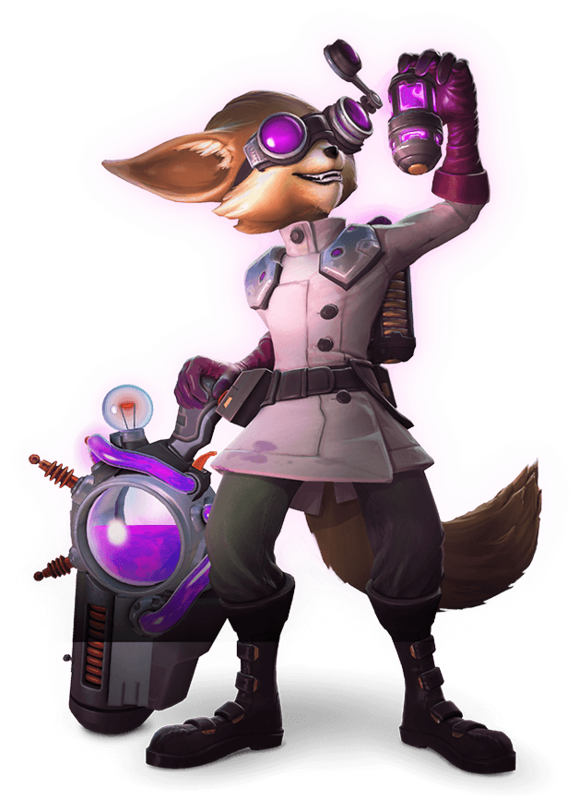 Bonus Damage: Increases the damage of Pip's next shot by 20%. Throw a healing potion that heals teammates for 1200 Health when it explodes. Jump higher for 3s. Removes all debuffs on use. 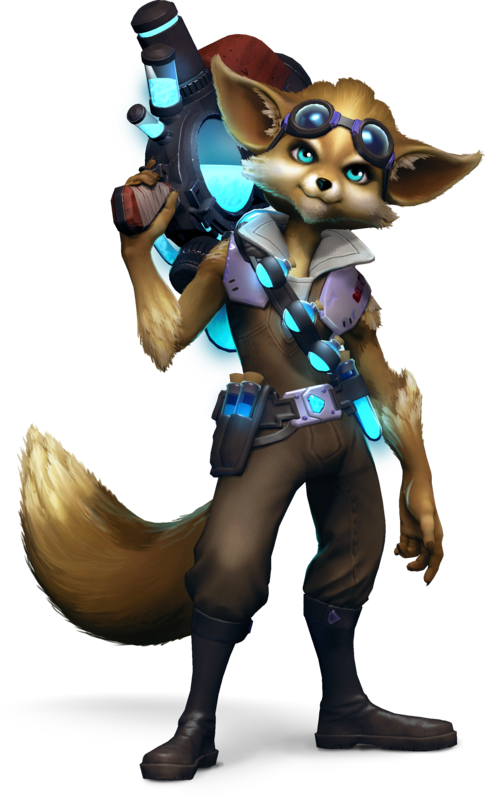 Pip can shoot during Weightless. Throw a flask that deals 200 damage and turns enemies into chickens with 1500 health for 4s. Victims are returned to their previous state when the effect ends.